Get Slideways this Mother’s Day! Home Get Slideways this Mother’s Day! Think Slideways Go Karting this Mother’s Day on the Gold Coast or in Brisbane! Looking for the perfect last-minute gift for the rev head mum in your life? 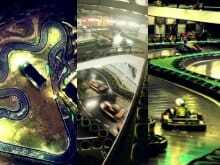 Check out our gift certificates online for a wide-variety of go karting options! Want to get trackside on Mother’s Day? We still have availability at all three venues, both indoors and outdoors, for this coming Sunday. Looking for the ultimate Slideways experience? Our group racing package deals, for bookings of 10 or more racers, ensure you get the entire track to your own group only, full grid race starts, and special discounted rates!